Is this the perfect summer dessert? It surely looks like that. 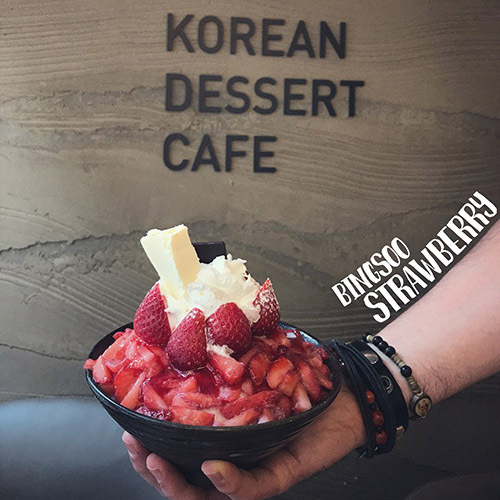 One of the must try desserts in Seoul, especially, during the summer, is the Bingsoo. It looks great and it tastes even better. Damn this thing is good! 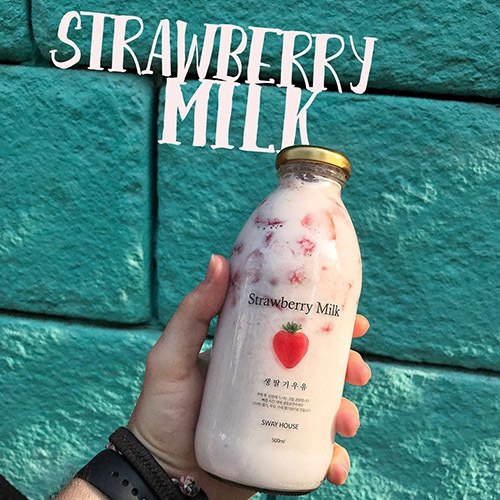 😋 There is not much I can tell you about Strawberry Milk. It's made with the fresh strawberries and good quality of milk, on the spot. Ok. I love milk. 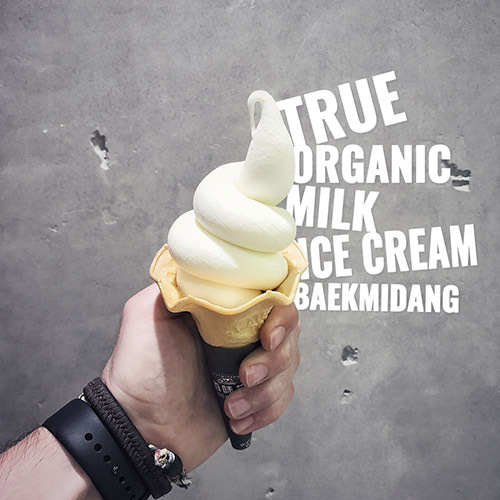 And now I love Baek Mi Dang's ice cream.